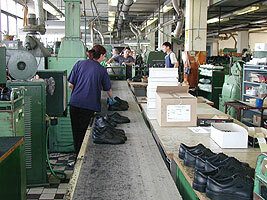 More than 50-year-long experience in manufacturing of footwear and clothing in Czech Republic! CIL, vyrobni druzstvo has been engaged in footwear manufacturin since its formation in 1953. 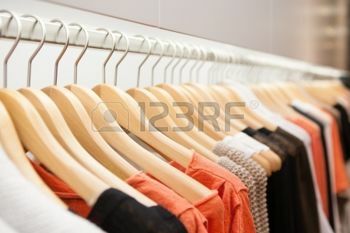 It was textile footwear, later on leather indoor and summer outdoor footwear at the beginning. We have produced mainly summer and winter leather outdoor men, ladies and children footwear since 1991. Footwear is manufactured by glued technology on International and USM machines. Footwear intended for high working load and for extreme conditions, means work shoes or footwear suitable for military and similar services is manufactured by sewed on technology of sole parts. Direct injection technology footwear and insoles are produced as well. Technical production operation is made by CAD system. All procedures including footwear development are in compliance by ISO 9001:2000. Within continuous improvement process the most modern knowledge of footwear production and development is used. All products are made on most modern sewing machines (JUKI, PFAFF, BROTHER, COMPLETT) and pressed both inter operations and in final phases on BRISAY ironing pressers. Total workshop layout including suspension transporter meets sophisticated quality requirements of our customers.